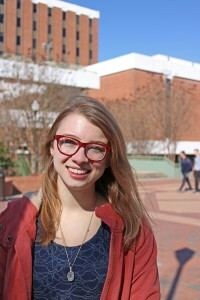 Auburn University junior Elizabeth Baxter has been nominated for the prestigious Harry S. Truman Scholarship. Ms. Baxter grew up in a military family and lived on Army posts throughout the U.S. She graduated from Bob Jones High School in Madison, Alabama and is currently is pursuing a double major in Economics and Political Science at Auburn University. For the past two summers Ms. Baxter has participated in the Federal Bureau of Investigation (FBI) Honors Internship Program and upon graduation, Elizabeth plans to pursue a career as a special agent in counterterrorism with the Federal Bureau of Investigation (FBI). Among her many activities and honors, she serves as the director of Student Interests on the College of Liberal Arts Student Council; president of the Economics Club; a member of the Student Eminent Society – a select group of Liberal Arts undergraduate students that serve as official hosts and hostesses for CLA events throughout the academic year; and serves as director of Accounting for Auburn Relay for Life. The Truman Scholarship Program was established to provide scholarships to outstanding students who are committed to a career in public service. Created in 1975 by an act of Congress, The Harry S. Truman Scholarship is awarded to approximately 60 college juniors each year on the basis of four criteria: service on campus and in the community, commitment to a career in public service, communication ability and aptitude to be a “change agent,” and academic talent that would assure acceptance to a first-rate graduate school. 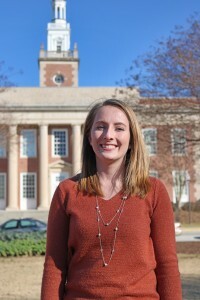 Honors College junior Sarah Pitts has been nominated for the prestigious Harry S. Truman Scholarship. Among her many activities, awards, and honors; she served as a legislative intern for U.S. Senator Jeff Sessions in the summer of 2015 where she had the opportunity to work on the Elementary and Secondary Education Act which was reauthorized in late 2015; she is a member of the Committee of 19 –Auburn’s anti-hunger initiative and participates in Blessings in a Backpack; she is a study partner in the Office of Undergraduate Studies; she is a Women’s B-Cyclist with the Auburn Flyers Club Cycling Team; and she was elected to membership to the national honor society of Phi Kappa Phi last spring. Honors College juniors Sara Head and Jennifer Kaczmarek have been nominated for the prestigious Barry M. Goldwater Scholarship. Their individual research projects will play a role in better understanding the use of gelatin as a developmental model that is similar in terms of structural and biological properties to the heart. Both have also presented their research findings at the 2015 Biomedical Engineering Sciences Annual Meeting and have recently co-authored a journal article with Dr. Lipke which is currently under review. Among their many activities and honors, both are members of the Biomedical Engineering Society, the American Institute of Chemical Engineering, Tau Beta Pi Honor Society, as well as Phi Kappa Phi Honor Society. Ms. Kaczmarek is also a member of the Auburn University Marching Band. The Goldwater Scholarship Program was established to provide scholarships to outstanding students who intend to pursue careers in mathematics, the natural sciences and engineering. Each scholarship covers eligible expenses up to a maximum of $7,500 annually for undergraduate tuition, fees, books and housing. In awarding scholarships, the foundation of trustees considers the nominee’s field of study and career objectives along with the extent to which that individual has the commitment and potential to make a significant contribution to the field of science or engineering. Honors College junior Natasha Narayanan has been nominated for the prestigious Barry M. Goldwater Scholarship. Ms. Narayanan, an Auburn, Alabama native, is pursuing a double major in Biochemistry and Spanish. 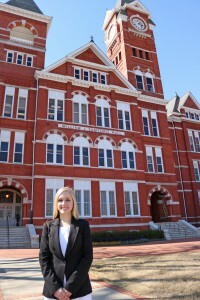 Since enrolling at Auburn in the fall of 2013, she has been an active participant in undergraduate research in biochemistry field. Under the direction of Dr. Bradley Merner, in the department of Chemistry and Biochemistry, Ms. Narayanan has developed a short, 9-step synthetic sequence to a complex bicyclic nucleoside precursor that will serve as a key intermediate in the synthesis of several, new nucleic acid modifications for antisense technology. 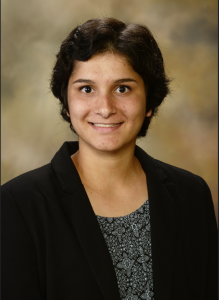 Among her many awards and honors, she was a 2015 Goldwater Scholarship Honorable Mention; she placed first in the Undergraduate Oral Presentation at the 2014 Southeastern Regional Meeting of the American Chemical Society; she is a 2015-2016 Undergraduate Research Fellow; and a recipient of the 2014 Cellular and Molecular Biosciences (CMB) Undergraduate Summer Research Scholarship. 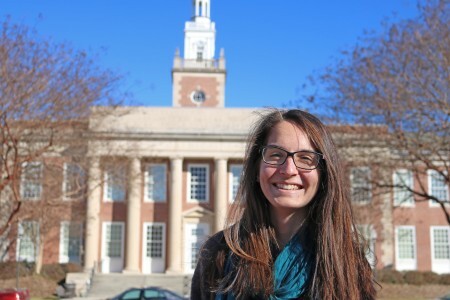 Honors College junior Stephanie Campbell has been nominated for the prestigious Barry M. Goldwater Scholarship. The Goldwater Scholarship Program was established to provide scholarships to outstanding students who intend to pursue careers in mathematics, the natural sciences, and engineering. Each scholarship covers eligible expenses up to a maximum of $7,500 annually for undergraduate tuition, fees, books and housing. In awarding scholarships, the foundation of trustees considers the nominee’s field of study and career objectives, along with the extent to which that individual has the commitment and potential to make a significant contribution to the field of science or engineering. Ms. Stephanie Campbell, from Wildwood, Missouri, is pursuing a double major in Animal Sciences and Microbial, Molecular and Cellular Biology. 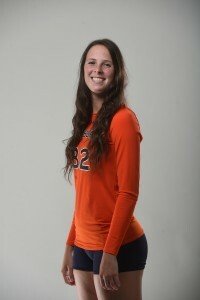 In addition to her studies, she is also a middle-blocker on the Auburn Volleyball team. For the past two years Stephanie has worked under the direction of Dr. Terry Brandenbourg, Associate Professor in the Department of Animal Sciences investigating clock gene expression in porcine adipose and pituitary tissue in lean and obese pigs. Her research will play a role in better understanding the development of obesity. Stephanie has presented her research findings at national and regional conferences and she has a co-authored journal article under review. Among her many awards and honors, she was a Cellular, Molecular and Biological (CMB) Summer 2014 Research Scholar; she was elected to membership to the national honor society of Phi Kappa Phi last spring; she was named the 2015-2016 SEC Volleyball Scholar Athlete of the Year; since her freshman year she has been named to the SEC Academic Honor Roll; and she was named to the 2014-2015 CoSIDA Academic All-District 1st Team. Welcome back Honors College students. 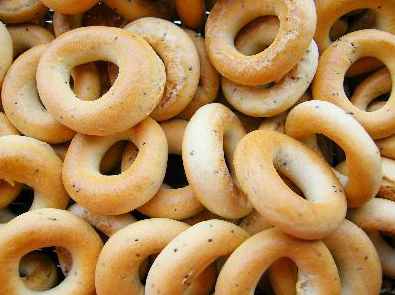 We hope you enjoyed your winter break, and would like to see you this Wednesday, January 13 from 8 – 10 am for a Bagel Breakfast. We’ll have fruit, juice, and everything you need to start your spring semester off right! 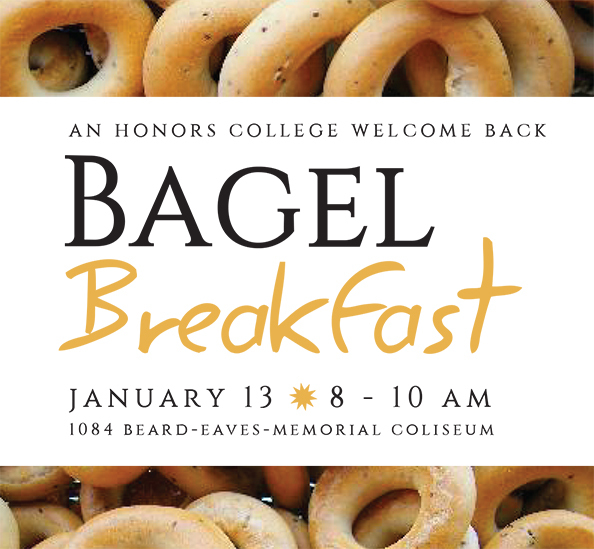 See you Wednesday at 1084 Beard-Eaves-Memorial Coliseum (Honors College offices). Through the generous support of Honors College alumni, students, and friends, we are establishing two endowed study abroad scholarships (including the Red Diamond Endowed Honors College Study and Travel Scholarship) with the remainder of the funds directed towards Honors College Study and Travel Scholarships for current students. 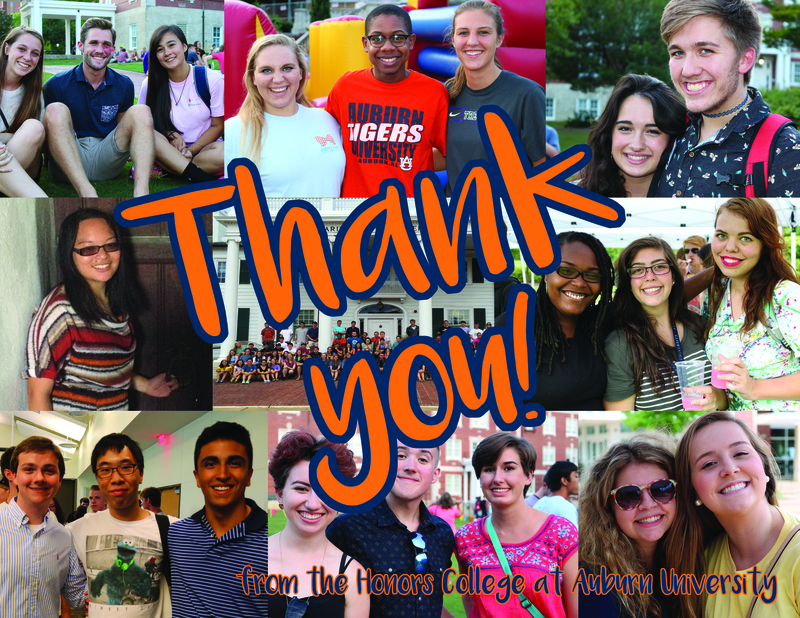 Thanks to your hard-work and the time spent posting to social media, emailing, calling, and giving during yesterday’s #TigerGiving Day, deserving Honors College students are now able to discover the world and learn more about themselves. We exceeded our #TigerGiving goal for a grand total of $90,260, with 64 different donors, and gifts ranging from $5 to $50,000. We couldn’t have done any of it without your support. The Honors College will be temporarily moving offices October 15-16 to Beard-Eaves Memorial Coliseum Room 1084 while construction to the historic Katharine Cooper Cater Hall moves inside. 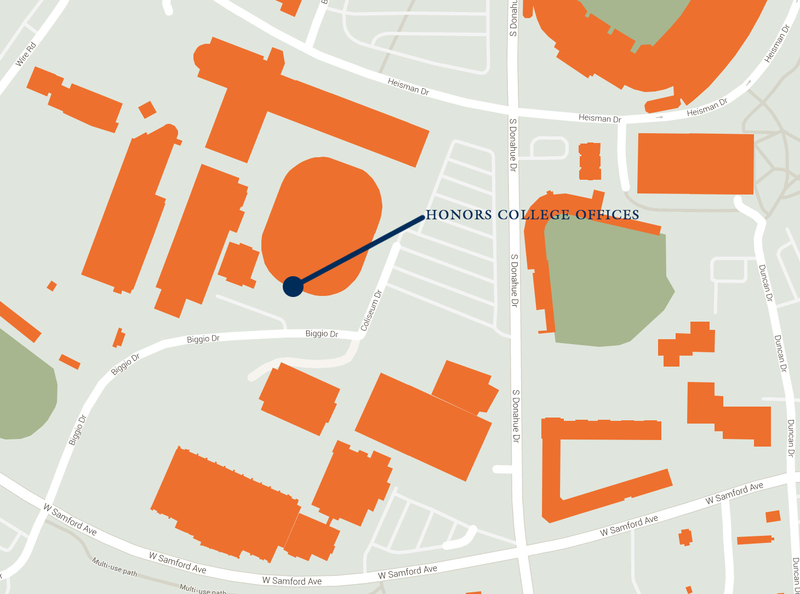 Beginning October 19, 2015 students will be able to find Honors staff on the Biggo Drive side of Beard-Eaves. Signs will be posted to help you along your way. Staff phone numbers and emails will stay the same, please contact us if you have any questions. See you at the coliseum! Honors students who have dedicated their time and leadership skills to campus wide organizations will be highlighted during the Involvement Showcase, a new series developed by the Honors College at Auburn University, on Thursday, October 8 at 6 pm in Langdon Hall. Each program will highlight three Auburn University student organizations and feature a keynote address from individuals across the southeast that have professionally and personally committed their lives to teaching the power of leadership, citizenship and the importance of community. In 2004, Mr. Black founded Impact Alabama: A Student Service Initiative and currently serves as its President and Chairman of the Board. In October, 2014, Impact Alabama became Impact America with pilot efforts beginning in three states and a full expansion planned for Tennessee in 2015. 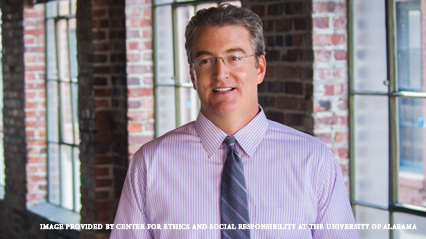 Housed at the Center for Ethics & Social Responsibility at the University of Alabama, of which Mr. Black serves as director, Impact America is an award-winning nonprofit with a staff of 53 full-time college graduates who have provided more than 7,000 college students the opportunity to participate in structured service projects designed to promote learning and leadership development. The Honors College salutes these students for their efforts to carry out the land-grant mission of Auburn University. Honors students challenge themselves through undergraduate research and studying abroad, as well as through a sustained commitment to leading on-campus student organizations. It’s time for registration – are you ready? Although it might seem like you just began your first semester at Auburn, registration for Spring is quickly approaching, and one of the many benefits of being an Honors student is priority registration. Be prepared and ready to successfully register on your own by attending one of the Honors College Registration Advising Preparation sessions. Tips to make the most out of your Honors academic advising session. Learn how to successfully navigate tigeri including, finding your registration time ticket, viewing Spring semester class availability and checking any holds on your record. Discover Degree Works and how to use this tool to your benefit by learning how to work in a minor, double major, or dual degree and staying on track for graduation. Receive tips for using Auburn’s brand new Tiger Scheduler system. Get your questions answered early about academic policies and registration. The Honors College will offer group information session in the mornings and afternoons the week of September 28th-October 2nd at the days and times below. Please plan on attending one of the 45 minute sessions.